Everyone can visit the museum that houses Estonian history, tradition, new aims and engaging dreams, but you will have an exclusive chance to see the backstage – how was the biggest museum in Estonia built during the 10 year process and how is the building with 6000 square meters of exhibition space operated and maintained today. 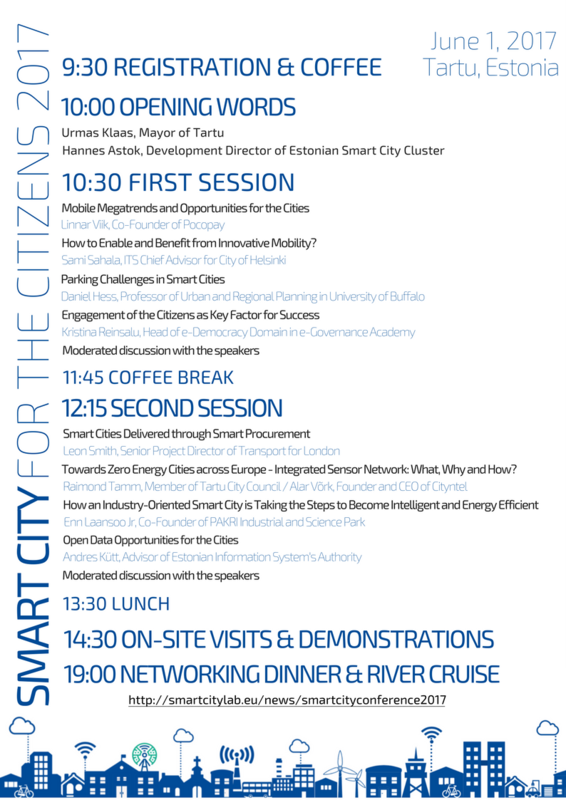 You will see how the business is done not only in Tartu but in the whole southern region, meet some of the most innovative entrepreneurs and their solutions. In our vision, we imagine the widespread use of self-driving vehicles to lead to a more humane future where the tedious time spent in traffic will be put to better use either for work or leisure. A future where people are liberated from the need to live close to their place of occupation as private, public and social transport is fast, on-demand and inexpensive. A future where both the government and private sector can make better data-based decisions on mobility. Comprehensive use of self-driving vehicles gives a fillip to a ubiquitous new paradigm in complex design of transportation industry. It is huge opportunity to increase the efficiency of public as well as private investments in transportation sector. You are welcome to learn more about the concept and discuss with us!